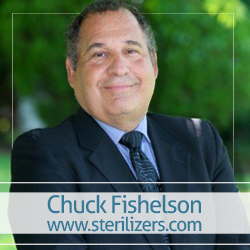 In this episode Chuck and host Kimberly Henrie discuss nine questions you need to ask before choosing a sterilizer. This sterilizer is aimed at anyone looking at buying a new sterilizer or autoclave, with valuable information for everyone to consider regardless of their practice or industry. You won’t want to miss a minute of this short podcast, because it is chock full of knowledge to help you select the best sterilizer or autoclave for your practice or laboratory. If you have a question not mentioned here, Chuck invites you to contact him so that he can provide you with an answer! And don’t forget to share this episode with others who may benefit from its information.